It happened again. Another man killed in a taser-related death. This time the killing occurred in the Greater Chicago area when 31-year old Jaesun Ingles died early this morning following a simple traffic stop. Ingles was pronounced dead at MetroSouth Hospital in Blue Island. An autopsy today was inconclusive, pending further investigation. Officers used a Taser on Ingles in an attempt to subdue him, Midlothian police. He was taken to the hospital after he experienced trouble breathing. Midlothian police stopped Ingles' car driven about 11 p.m. Tuesday in the 146 00 block of Pulaski Road in Midlothian for several traffic violations, police said in a release. An officer smelled marijuana and found a small amount of the drug following a search of Ingles. While police tried to arrest Ingles, he ran behind a local business, where he tried to swallow a small plastic bag believed to have contained drugs, police said. When police finally caught up to Ingles behind the business after a foot chase, Ingles continued to resist and he was hit with a Taser. Ingles began to have trouble breathing and emergency personnel were called, police said. Police have not admitted how many times a Taser was used on Ingles. The public integrity unit of the state police is looking into the incident. Several officers were injured trying to subdue Ingles, police said. One received treatment for a sprained wrist and injured shoulder, one for a knee injury and the other for an injury to his right hand. When will police recognize that a taser should not be used for convenience. It should only be used in accordance with the 'use of force continuum policy. Having some pot in your car should not be a death sentence. This is horrible. Another black man Tasered While Black at the hands of police. Thank you Villager for keeping us informed. It's really time for the Justice Department to step in and provide guidance to police departments, as well as investigate each of these tasering deaths over the past 4-5 years. AAPP - I was not blogging very much for the past few weeks. It appears that the extra-judicial electrocutions continued to occur at a rate of about once-per-week. I guess we need to decide if the fix for this problem is at the federal level ... or if it will take local action (such as we've seen in Ft. Worth TX in the Michael Jacobs' killing) to make a difference. From what you wrote, he wasn't Tased for having pot, he was Tased while resisting arrest, which he was clearly doing. The use of force was authorised when he refused o submit to arrest, and further when he attmepted to escape by flight. When caught, he fought. Tell me why a Taser would be inappropriate here? Based solely on your own report of the incident, the use of a Taser was fully justified. He didn't need to die for his stupidity. Jaesun was my close friend. Yes he smoked pot. Everyone have their faults. Jae didn't fight in the streets. So him fighting the police is very hard to believe. He was a caring person who always looked out for everyone in the neighborhood. He didn't deserve to leave this earth like that. Which human being do? The police fell when trying to arrest him, causing their injuries. He was tased multiple times and slammed to the concrete. The police are trying to justify what they did. But justice will be served. 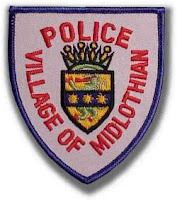 Midlothian police are racist!! RedRoses - Thank you for sharing your insights on Jaesun Ingles. Our prayers are with his family and friends. Any new information that you've heard locally about this taser killing? Dr. Murray - You posted a link re: Andrew Grande ... which is unrelated to this particular blog post. Our blog did share information on Andrew Grande earlier.